As the staff of Kula no na Po`e Hawaii prepare to end another year of hard work, we are busy updating our website with more information about our community programs, events, and upcoming opportunities for the families of Papakolea, Kewalo, and Kalawahine. Mahalo for your patience as we continue to share our work. Keep checking back for updates!! PAPAKŌLEA, HI – For 25 years, Kula No Nā Po‘e Hawai‘i (KULA) has been serving the kūpuna of the Papakōlea Hawaiian homestead community through programs that heal – such as lomi. 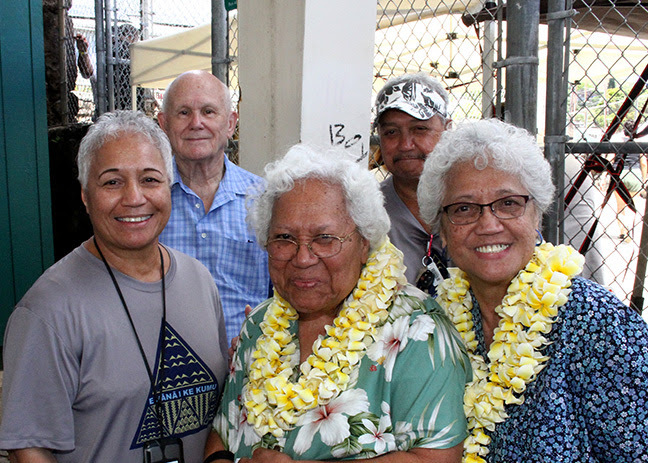 The $1.2 million grant awarded by the U.S. Administration for Native Americans (ANA) over a three-year period, will support the development and implementation of a Papakōlea Kūpuna Community Care Network, serving the 250+ kūpuna and their caregivers. This program was established by the Native American Preservation Act of 1974, and is administered by the Administration for Children & Families, housed under the U.S. Department of Health & Human Services. The purpose of the SEDS program is to promote economic and social self-sufficiency for American Indians, Alaska Natives, Native Hawaiians, and Native American Pacific Islanders from American Samoa, Guam, and the Commonwealth of the Northern Mariana Islands. A total of $9.7 million was awarded to Native communities across the U.S. for FY 2017. Nearly $1.3 million was awarded to four organizations serving Native peoples of the Pacific Region in this fiscal year. For more information about the KULA or the Papakōlea Kūpuna Community Care Network, call 808.520.8997, e-mail kula.kupuna@gmail.com or visit www.kula-papakolea.org. R.L. Stevenson Middle School Halau Ka Makani ʻO Pūowaina Hula Hui places 3rd in the Middle School division at the Malia Craver Hula Kahiko Competition Hosted by Queen Liliuokalani Keiki Hula Competition held today at Iolani School. The halau is under nāpunaheleonāpua Kumu Rich Pedrina of Papakolea and Blaine Nohara, Alakai’i (pictured) The Halau is co-sponsored by the R.L. Stevenson Middle School and the Papakolea’s Kula no na Po’e Hawaii under the KLP Project. 2017 Health Fair – Mahalo!